We’re nearing the end of October, which means it is well and truly autumn – though I feel like somebody forgot to tell the weather, because I’m on the northwest coast of England and it was 17 degrees today! That’s like a standard UK summer. Regardless, the jumpers are out, the shorts have been left at home, and I was recently tagged to write about all things autumn by both Esther Ruth Wyse and Jess Cantoni! For me, autumn begins when the leaves start changing colour and I’m cold enough to put jumpers on again. Though I do get cold very easily – especially after the summer just gone! I know everyone else was hating on the 33 degree heat around London but I was LIVING for it. When it dropped to 22 degrees I was practically an ice cube, I’d gotten so used to the heat. I’d say my favourite autumn scents are orange-y, lightly spiced scents. Please note I’m very bad at describing scents, so that’s my best effort! But generally, if it’s orange-y coloured, whether it’s potpourri (not that I’ve ever bought that, mum does occasionally) or candles, I’m good with that for autumn. If you’d asked me this three, maybe four years ago, it would have been a red-wine burgundy. I kid you not, most of my wardrobe was that colour! Nowadays I’m really into the mustard yellows that have been in the shops for the last couple of years, and I definitely love gentle browns – y’know, for boots and things. Are you a fan of PSL (pumpkin spice latte)? I’ve never had one! I don’t really drink coffees at all, so it’s not a drink I’ve tried. I like a good hot chocolate. Preferably on the really chocolatey side! I’m not always the greatest with dairy though, but I’ve recently started using oat milk and, turns out, that makes a very smooth hot choc. Like I said earlier, I don’t really drink coffee (caffeine + me = bouncing off the walls and a lot of inexplicable giggles), but I do love the frozen chocolate drinks from Starbucks/Costa every now and again – I have no idea what they’re called though, because Costa changed the name of theirs recently and I literally never remember what the Starbucks one is called! It’s that one… with the cream… and the ice… and the chocolate… Let me know if you have any idea what I’m on about. I’ve never had pumpkin pie either! I’ve definitely had apple tart before, which I’m not sure counts as apple pie, but I’ll go with it – it’s alright. There are better desserts, but it does the job. I prefer a stroodle, or an apple cake my mum makes. I usually look forward to the new series of Doctor Who, but I have no TV license or TV aerial in my third year student house, so can’t really watch TV as such… so I’ll be rewatching How I Met Your Mother, Friends, Once Upon A Time, and all the Harry Potters. Big shout-out to Netflix and DVDs! Cable knits. C A B L E K N I T S. I love a cable knit. So warm. So cosy. Jumpers, cardigans, socks, gloves, scarves… Give me all the cable knits. Probably duck spring rolls. I eat a pescetarian diet in the main because of stomach issues, but duck spring rolls on an autumn night are so good. Alternatively, baked camembert and toast. My mouth is actually watering right now. I love baking in the autumn, and cooking seasonal things – like soup. Last year I made pumpkin cupcakes and pumpkin soup for the first time, which I think went quite well – I usually end up baking at least a few times in autumn (this week I made sweet potato & leek soup and chocolate orange fairy cakes). I think carving pumpkins is fun too, but obviously that’s only really a Halloween thing. I’d like to go pumpkin picking at some point though! I’ve never been all that into horror films, because I’m not really into that thrill, but I have been watching some recently because I’m studying a Gothic fiction & film module at university so every week we have to watch a different film – we haven’t gotten to the modern ones yet so the most recent one we’ve seen was made in the 1960s! Having said this, an odd series of circumstances meant I did watch the Daniel Radcliffe version of The Woman In Black about five times from when it came out in cinemas to when it came out on DVD. Having said this, I don’t think it counts as horror… does it? So – long walk for a short drink of water – no. I haven’t in recent years, but I do remember at some point growing up my parents threw me a Halloween-themed party (I have an awful memory but this might have been a birthday party, because my birthday is 11-Nov and therefore close to Halloween). They drew and cut out witch and monster heads and hung them from the ceiling, and the house got all decorated, so that was really fun. I did some trick-or-treating as a kid too, like everyone. Not sure about a favourite ‘part’ exactly, but my favourite memories would be the party I just mentioned, rewatching the early Harry Potter films, and watching all the Halloween films on the Disney channel. I probably celebrate Bonfire Night more than Halloween, so I’ll say Bonfire Night – though in my head I sort of rank them equally! Last year I did nothing for either, because I was in deadline mania, but I’ll see if there’s anything going on this year. Don’t ask me that! There’s too many. Iceland in the autumn was amazing, but I’d love to see Madeira in autumn too. Usually I’m vaguely aware that it’s going to happen, but never know which day. Then I Google it after my mum reminds me. I have vague memories of getting ready for school at what turned out to be 6am instead of 7am once back in either primary or early secondary school, and I was really wondering why nobody else was getting up until I saw the time on a clock that changed automatically. I didn’t bother taking my uniform off before crawling back under the covers for a while. Compared to most people these days, really late! I’ve always had a rule – no Christmas until after my birthday. My housemate, whose birthday is six days after mine, also has the same rule, so for us it’s mid-to-late November when we start thinking about Christmas! Although I have already started lightly Christmas shopping, but sometimes it’s just easier to get that done early. Considering my birthday is an entire six weeks before Christmas, I don’t think it’s too Scrooge-like – yet I have had birthday presents wrapped in Christmas paper before… Not cool, guys. Not cool. That’s all of the questions! 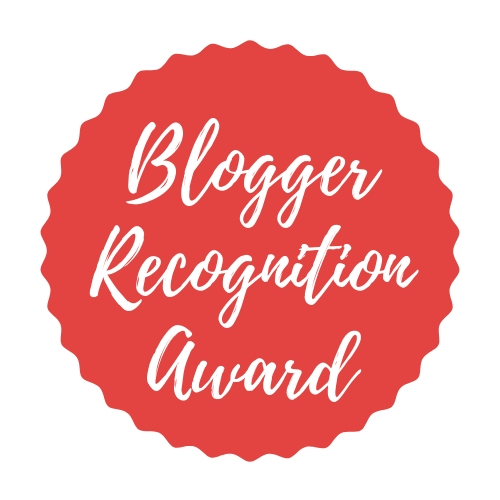 Thanks so much to Esther and Jess for tagging me, and now it’s time for my tags – I feel like most bloggers I follow have done this one already so I’ll only tag a few! 2 Comments The Autumn Tag!